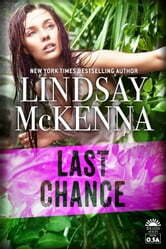 Last Chance is a prequel novella to Nowhere to Hide. This book is the beginning of a new series, DELOS. This means Delos Home School Charities, for the purpose of this book, anyway. It is a part of a large corporation that wanted to give back. It has Lia Cassidy, after a horrific injury and attack. She has her scars and seems to offend those who see her. This makes her want to find a place far away to settle for a while to make plans for the future. She also wants to work with kids. She is hired to manage the school down in Costa Rica. While there, she and two other teachers help a woman escape the clutches of a known drug dealer. While under attack, Lia must run for her life and stay alive long enough for help to arrive and get her out of there. Thanks to her military training - she manages to hide just enough. Can she trust who comes to rescue her? This is a short story leading us into the next installment in the series, Nowhere to Hide. Like all of the authors books, this story is fast paced and very compelling. Edge of your seat action, and personally, I cannot wait to read the next book. ***This ARC copy provided by the author for an honest review only.